It took a very rainy walk home from Newcastle over Bank Holiday weekend to make me realise that it might be time to replace my Winter boots. It's never good when you remove your shoes to find very soggy socks. Unfortunately for me, when closely inspecting the rest of my collection of boots, I realised that all of them now have holes in soles, worn heels and scuffed toes. Not only do I need to replace one pair of boots, I need to replace all three. 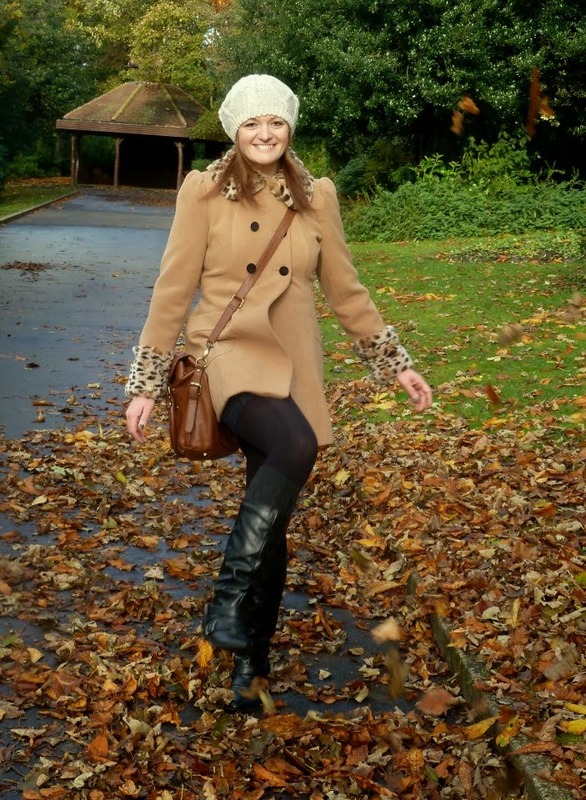 Boots are my absolute love over Autumn and Winter. They are essential for coping with cold and wet weather (as well as kicking about in leaves) and I wear them every day. 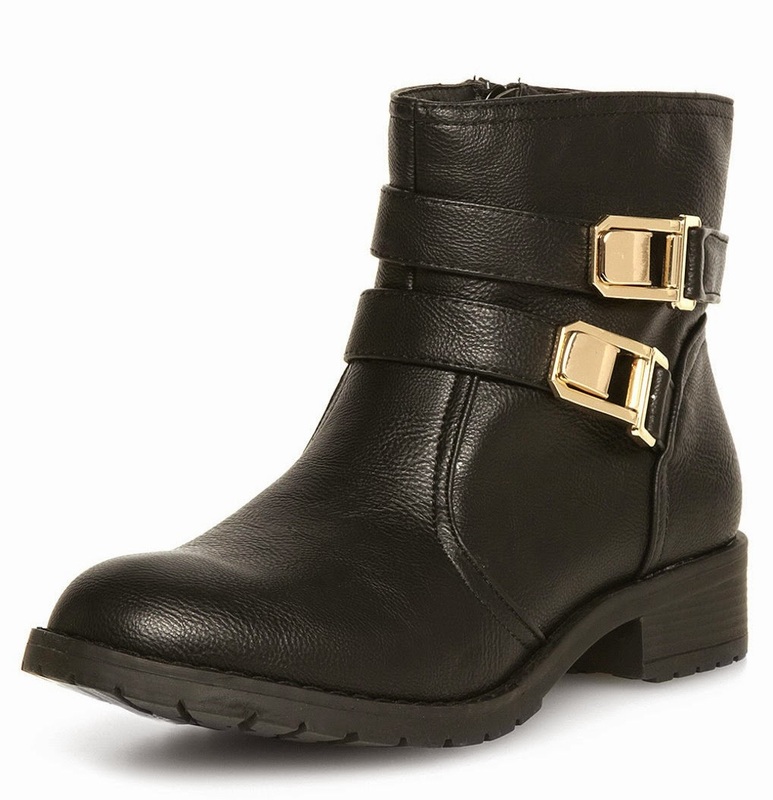 Currently I have biker style ankle boots as well as knee high boots in tan and black. My big dilemma when purchasing new boots is how much to spend. Boots that I've bought in the past haven't lasted me very long. So this year I'm wondering whether to invest more money. I'd love to hear your opinions and if anyone has any recommendations for some good boots that will last me more than a season I'd love to hear. For now, here are some boots that I currently have my eye on to replace my current collection. 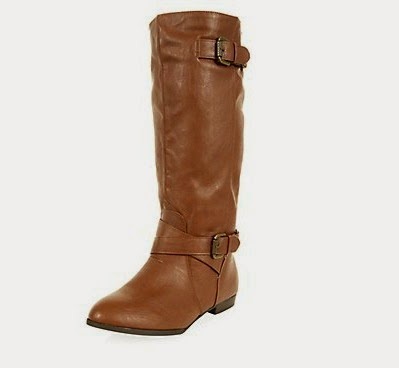 First up a cheap pair of knee high boots from New Look that come in tan and black, they are priced at £24.99. They look very similar to a pair I had previously so they might not last too long. 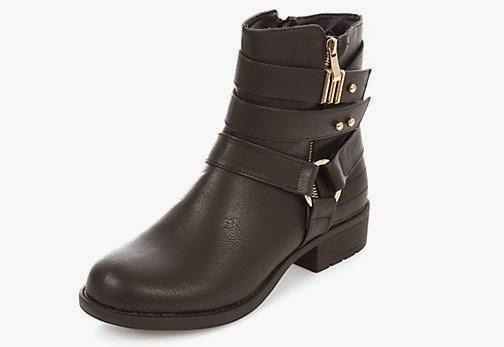 Similarly this pair from New Look is £27.99. Cheap and cheerful but perhaps not very robust. 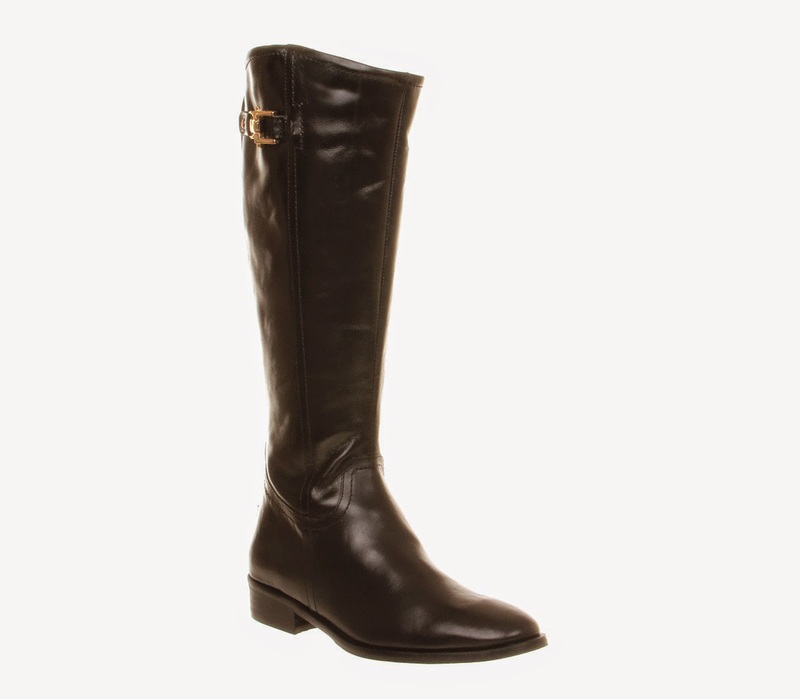 A knee high pair that are slightly more expensive are these from Office, originally priced at £95.00 they are now selling for £67.00. This seems like a good option, the original price tag might mean they fair better in bad weather. Unfortunately the next lovely pair are not in the sale. Again they are from Office but with a price tag of £115.00 would end up being the most money I've ever spent on a pair of boots. So there is my great boot debate! Pay day is fast approaching so decisions need to be made. If anyone has any tips on where to buy great long lasting boots I'm all ears. I always drag it out and drag it out and hit the FatFace sale for my boots - they do THE BEST boots. And even full price, they're not the worst. Those Dotty P biker jobbies are pretty damn gorgeous too. I had a little look in FatFace last night after your recommendation, found some beautiful boots so may go back and try those on over the weekend! Had a look at the Dotty P ones but the bottoms look very slippy, the floor in Eldon Square (our little mall in Newcastle) is VERY slippy slidey and Ive learnt from bad experience that I have to wear shoes with good grips in there or I go flying! I tried on the lovely ones from Office but they wouldn't zip up over my legs! I always thought my legs were quite slim ... but apparently they're not!!! HA! I have this issue most winters.. although my dilemma is finding nice, stylish, affordable boots.. that don't have a flat slippy sole!!! The winter I was pregnant my partner spent most trips out holding me up, as my lovely New Look riding boots were the slippiest boots ever!!! I had so many near falls.. I have some small heeled knee high boots from Primark which I love and replace every 2 years (thankfully they seem to get them back in!) but again, they don't have great tread. My other issue is finding boots that fit over my calfs!!! I'm guessing the 'average' 'model' woman they base boots on has no calfs.. I love all the above boots though Chloe. I was also in Dorothy P's today and started looking at the boots in there and thought of you. :p They actually had some lovely ones. I'm definitely on the hunt for non slippy too, last years had me sliding all over the floor in Eldon Square. If I knew I was going into Toon shopping I had to make sure I wasn't wearing them which is just annoying! I tried on a load in Office and I struggled to get them zipped up, absolutely ridiculous because it's not like I have massively huge legs! Who on earth are they made for!?! Ahh! I love them all. The knee-highs from Office are perfection. I am rubbish at buying boots! Every year I say I'm going to get a pair and every year I don't ha! I wouldn't even know where to start, but I think paying a bit more might be a wise choice. I love the biker boots! I couldn't actually find any more expensive ones that I liked so I've ended up with pretty cheap ones (my bank account is very happy with me!) - I picked up the New Look Biker Boots, then some tan knee highs from DP which were £45 and a black pair from Next which were around the same price! 3 pairs for under £130!